The bad news: US Fish & Wildlife attributes this negative impact on the Clapper Rail population on the slow recovery of native Spartina (Spartina foliosa). We have been following the Spartina eradication project since 2011. For the benefit of new readers, we will review the issues with a few excerpts from previous posts on Million Trees. It filters nutrients, sediments and toxins from the water that flows off the land before reaching the ocean, acting as a natural water treatment facility. It provides cover and food for birds, mammals and marine animals that live in the coastal marsh. A similar, but smaller dieback of Smooth Cordgrass in Georgia led to a collaborative research and on-going monitoring effort by 6 research institutions in Georgia. Spartina is being eradicated with an herbicide, imazapyr. This is a new herbicide about which little is known. The analysis that was done to justify its use in the Spartina eradication project admits that no studies have been done on its effect on shorebirds, including the endangered Clapper Rail. The Material Safety Data Sheet mandated by the Environmental Protection Agency tells us that imazapyr is “not readily biodegradable.” So, in the event that we eventually learn that this herbicide is harmful to shorebirds and/or to us, we probably should assume that it will still be in the environment in the nearly 200 sites in the San Francisco Estuary on which it has been sprayed. Imazapyr is also being sprayed–sometimes from helicopters–in hundreds of places along the West Coast, including Oregon and Washington. Imazapyr is often mixed with glyphosate by the Spartina eradication project. Glyphosate is a non-selective herbicide. That is, it kills any plant it is sprayed on at the right stage of its growth. But imazapyr is far more insidious as a killer of plants because it is known to travel from the roots of the plant that has been sprayed to the roots of other plants. For that reason, the manufacturer cautions the user NOT to spray near the roots of any plant you don’t want to kill. For example, the manufacturer says explicitly that imazapyr should not be sprayed under trees, because that tree is likely to be killed, whether or not that was the intention. Furthermore, no tests have been conducted on the toxicity of combining multiple pesticides in a single application. Therefore, we know nothing about the possible synergistic effects of combining imazapyr and glyphosate. These facts about the herbicides used to eradicate non-native Spartina bear repeating. The main herbicide being used is known to be mobile in the soil and persistent in the environment. The herbicide with which it is often mixed is an indiscriminate killer of any plant on which it is sprayed. Therefore, the likelihood that these herbicides will prevent the establishment of the new plantings of native Spartina should be taken into consideration. The entire enterprise seems deeply flawed, both harmful and futile. So, what does this have to do with you? 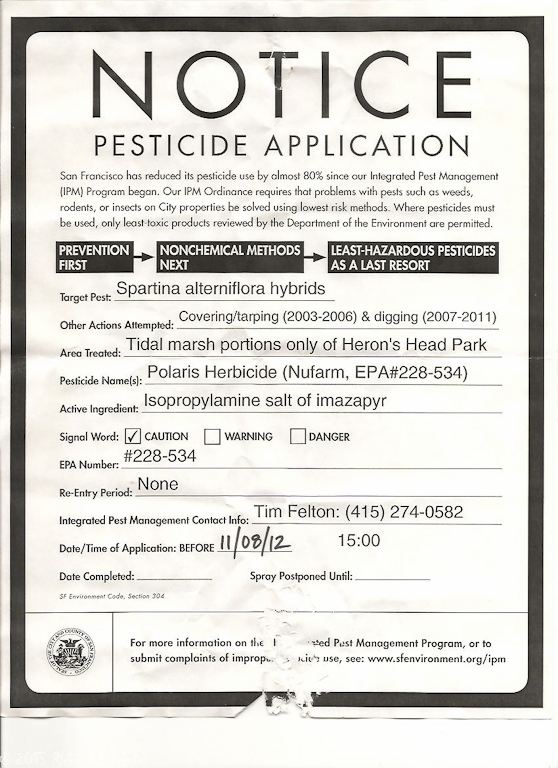 If you are concerned about pesticide use, you might be interested in the fact the East Bay Regional Park District (EBRPD) used 203 gallons of imazapyr in 2009 and 121 gallons in 2010 for the sole purpose of eradicating Spartina on their properties. We don’t know how much imazapyr EBRPD used in 2011, 2012 and 2013, because they haven’t published a report of pesticide use since 2010. Since their properties are only on the east side of the San Francisco Bay, we should assume that at least that much imazapyr was used by land managers on the west side of the Bay. In July 2011, a Clapper Rail was seen and photographed at Heron’s Head in southeastern San Francisco. There was quite a bit of excitement about this sighting because a Clapper Rail had not been seen in San Francisco for decades. That excitement dissipated when we learned more about where this bird came from, which provided a probable reason for its arrival. The Clapper Rail was wearing a radio collar that had been put on him and 109 other rails by the USGS to track their movements. He had moved from Colma Creek, 11 km south of Heron’s Head, which is one of nearly 200 Spartina “control sites” in the San Francisco Estuary. The bird sighted at Heron’s Head is one of three Clapper Rails that have left Colma Creek since 2007, when the radio collars were placed. The Spartina control project has been going on for over 10 years, so we have no way of knowing how many Clapper Rails were displaced prior to 2007. 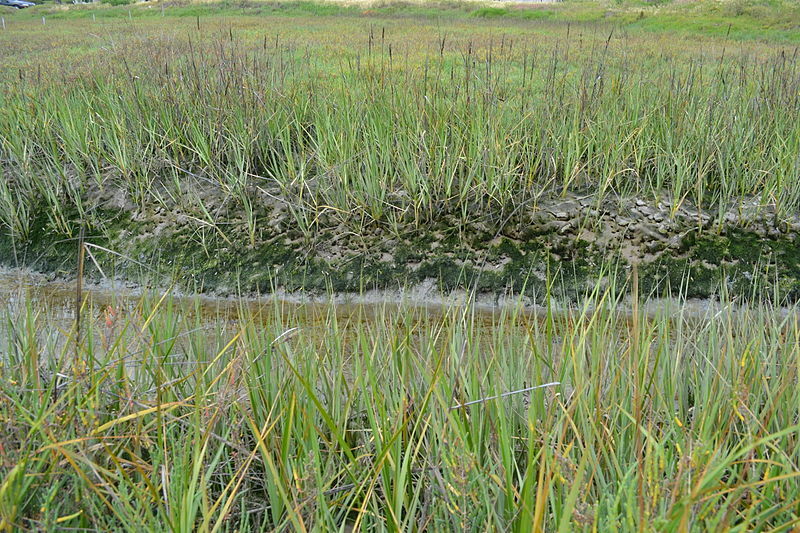 In 2012, non-native Spartina at Heron’s Head was sprayed with herbicides. Where did the Clapper Rails go from there? Was there anywhere left for them to hide? As our readers know, native plant advocates claim their “restoration” projects benefit wildlife. They can offer no evidence for this claim. But there is considerable evidence that proves them wrong. 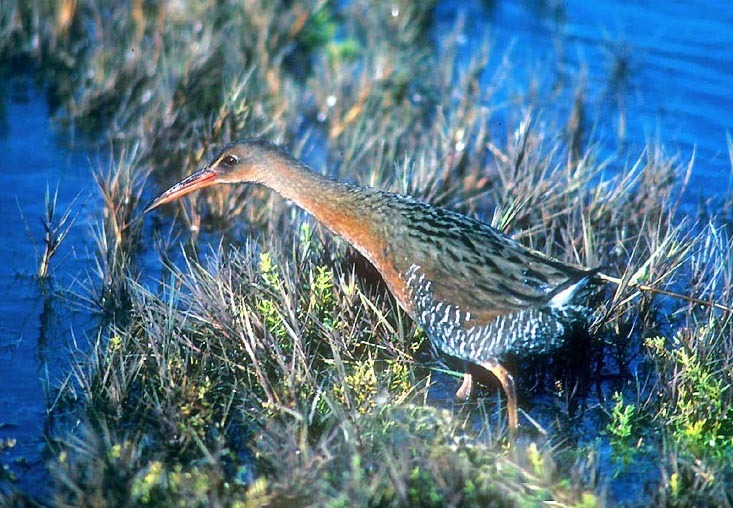 The endangered California Clapper Rail is one such case. 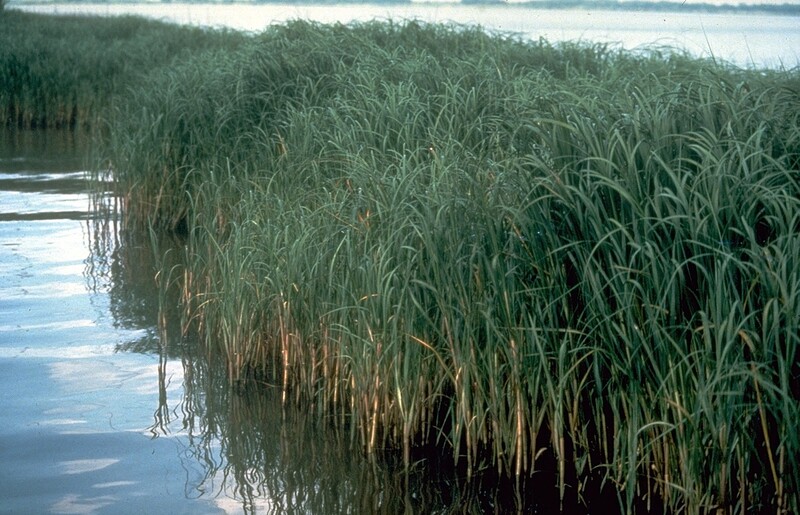 (4) “Smooth Cordgrass,” USDA/NRCS Plant Fact Sheet. It is always interesting that when an eradication campaign ensues that if it causes more damage to native wildlife than it was meant to protect that the government is quick to sweep under the rug the part they played. I got a search on my blog that asked “where have all the cattails gone?” Because there are both native and non-native varieties in most locations that look very similar, removal has had ALL cattail eradicated in many cases. Seems like the wrong move every time. Thanks, Donna. We hadn’t seen that example. You’d think that a little common sense would tell people that if you use herbicides to kill one species of plant, you will probably have an impact on the “good” plant you intended to save. These stories rarely see the light of day unless someone is actively looking for them. We get internet searches frequently that suggest people are often unintentionally killing things. Ironically, as I was writing today’s post, I received this search.”remedies for imazapyr poisoning in trees.” It seems that even professional applicators of pesticides aren’t reading the manufacturers’ labels. I assume that all these pesticide apologists are lined up to give a little bit of the stuff to their kids to prove how safe it is? Why are people surprised when poisons kill something other than the intended target? Gee, not only the spartina died? You mean living beings that drank the water died? Another dirty ‘secret’: People working with pesticides have higher birth defect rates. Thank you so much for yet another wonderful post that everyone should read. There is no excuse ever for using pesticides. Many once said to be safe are now banned. Whatever poison was used unnecessarily under our house before we moved in to deal with termites (which are very easy to eliminate without poisons), I could still smell almost forty years later. It is outrageous to spray poison into our already horribly polluted bay. It’s common sense that the effects will be death to many species of plants and animals, including humans. The Clapper Rails are adorable. I wish they would just let them use their beloved introduced Spartina that they are smart enough to prefer. Why kill a carbon eating/ oxy producing plant? answer greedy and lazy corporate shell fish farmers…. Yup, there’s little doubt about that. Up here in Eureka,CA the Humboldt Bay National Wildlife manager has an almost more destructive method of eradication than down there,A tanklike contraption called the “Marshbuster” that runs on metal tracks and cuts the marsh vegetation down to mud level. And let me tell ya, it destroys EVERYTHING.Native salt grasses such as pickleweed, , little saltwater ponds waterfowl use(cuzz they feed on the Spartina seeds),slough banks,everything.And to top it all off they always step up the eradication during the height of the nesting season for Western Canada Geese,which is yet another native species that has adapted to utilize Spartina.Now the refuge brass after much public outcry assures us that they don’t cut up any goose nests.But they don’t have to.If mama goose doesn’t incubate the eggs because of increased human activity,baby geese die anyway.And l have seen rails in these marshes up here more times than l can count.They prefer the higher thicker Spartina because it gives them good cover.The refuge managers response to those rails thriving in the non-native Spartina?”0h they’ll find some other place to go”. 0h and 1 more thing.Although the non native saltgrass comes back eventually the native vegetation like pickleweed doesn’t ever look like it will once the “Marshbuster” is done. Thank you for telling us this story. Projects like this are happening all over the country. No consideration is given to the wildlife that needs the non-native plants for food or cover. Wildlife does not share the human prejudice against non-native plants. Ironically, the managers of these projects always claim that wildlife will benefit from their projects. It is one of their “cover stories” for the damage they are doing. As long as people are making a living on these projects they will persist, unless the objections of the public get loud enough to stop the flow of public funding of the projects. Although the mechanical method used in Humboldt Bay sounds very destructive, surely it is better than being sprayed with a toxic mix of herbicides. They are making their living at it. I think that’s what they care about. I don’t know what will stop them. Fritzi Cohen, whose oyster farm was poisoned out of business in Willapa Bay in Washington State sued them at great personal expense. She lost. What else can we do? The Humboldt Bay oyster business is bragging that the water quality is so good you can eat the oysters right out of the water..in that case the harbor district has a local business it is engaged with on several levels, along with tourists serving interests and a highly dense population of well informed and articulate people on all sides. Altho small the arguments are intense on these issues. Lumber has been a big problem here as well as a main economic force, so this is a new slant on an old industry you write about here. There is water monitoring, the ‘award winning ‘ Arcata wastewater treatment plant at the north end is adjacent to the bay and uses lots of ponds for it’s treatments. That is maybe why the water is tested so often (water quality rules plus their proximity to the bay) as well as the local support for the oyster industry. When a sewer pump recently failed there was a spill and the oyster harvest was stalled for several days until the water tested clean enough. Much of the bay is shallow so it flushes clean pretty quickly compared to SF Bay I would guess. So…one industry vs the chemical industry. Humboldt Bay has several issues like this, the dunes have seen this same struggle between the nativists and others. Then there are the new Marine ‘Preserves’ that among many things exclude the natives that have been here for over 10,000 years, but don’t exclude oil and gas and military ‘needs.’ Pretty corrupt, and the whole issue stage managed by an opil and gas lobbyist. I appreciate your excellent and logical writing on these issues..follow the money, cause you can bet someone has too. And on another follow the money front, I am hearing rumors and finding evidence of money in carbon credit markets being invested in trees, probably not news to you or anybody else I suppose.. I am hearing the lumber companies in the NW are perhaps going to be factoring in the value of their sequestered carbon in their ‘do we clear cut this lot now’ calculations. I don’t know how they can actually monetize this..taxes, some market..don’t yet know. The carbon markets are going to be affecting this issue of massive tree cutting…and maybe with what you are seeing down there….if they already haven’t done so…(I am playing catch-up here). I have found at least one NGO that plants trees, and hires locals to do it….and that’s all they appear to do..where the money comes from….. I need to find out more about that and the like…financially how does that work? Are they a front for some for profit group in the carbon credit market somehow? Is it as a mitigation effort, some polluter pays them so they can go on polluting…which is pretty much the market in a way isn’t it? And lastly, sorry…there was a conference at HSU recently (last spring/summer) where a featured professor (can’t remember his name right at the moment, but have the link somewhere)(he was famous for discovering the owl-old growth link) presented a paper that showed the old growth largest tree stands were (still) sequestering more carbon that smaller treed forest stands were…and I probably have that wrong..anyway.. Yes, there are studies that find that trees continue to store carbon throughout their lives. We share your belief that the availability of money for these destructive projects is what makes them so difficult to stop because people with vested economic interests are committed to their continuation. Ecological “restoration” has become a major industry with all the power that American politics vests in corporate interests.